MamaBreak: Walmart Pampers FABULOUS Deal for June! This is a sponsored post for SheSpeaks/Pampers. MamaBreak was compensated for sharing this post with you. Every month, Walmart.com brings you a new Pampers Bundle of Joy. 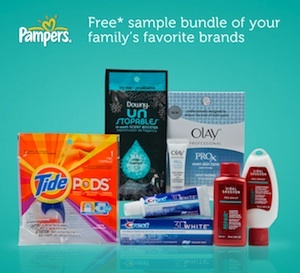 Starting on June 1st, when you purchase Pampers diapers on Walmart.com, you will receive a sample pack while supplies last. Looks like a fun little bonus just for buying diapers on Walmart.com! MamaBreak received compensation for sharing this deal with you, our readers!